3 Bedrooms, 2 bathrooms with additional private sitting room, Sleeps 6. Bradenton/Sarasota information: Bradenton has numerous golf courses (all within a short drive of our villa,) restaurants, shopping malls and plazas, crazy golf, cinemas just a short drive (10/15 mins) beautiful beaches with powdery white sand. Sarasota has theatres, museums, art galleries and numerous restaurants shopping malls, Natural habitat to explore - dolphins and manatees are often seen swimming in the waters of the Gulf. Marie Selby Botanical Gardens - for beautiful and exotic flowers. Mote Marine Science Aquarium. Myakka State Park - air boat rides, canoeing etc. All within 15 mins of the villa. Local Amenities: Supermarkets, restaurants, and shops like Walmart , Publix, Bealls,Target , Applebees,McDonalds are within a 5 min drive. An approx 2/3 min drive is a bank and a post office. For more sophisticated shopping try St Armands Circle, where you'll find 150 boutiques and restaurants. Air conditioned shopping malls and the outlet mall are just a 10 min drive away. The gulf beaches of Anna Marie Island (ideal for fishing) and Longboat Key / Siesta Key are all within easy reach (just a short drive), numerous golf courses are a 5/10 min drive away. Multiplex Cinemas 10/15 mins drive. Take a trip to Venice, further South (50 mins) where you'll find Italian architecture and landscape boulevards which date back to 1925.quaint little shops, beautiful beaches, ideal for the shell collectors. Take a drive over the sunshine skyway to /St. Petes / Clearwater around 30 mins or further afield Busch Gdns just 45/50 mins also the theme parks of Disney a leisurely 90 mins. Upgraded brighthouse / spectrum cable TV in living area and bedrooms. Tvs in all bedrooms, (except the twin bedroom) , 2 mountain bikes, beach chairs,loungers, umbrella's, cool bags, etc ,DIGITAL PHONE HI-SPEED INTERNET + Wi FI laptop use anywhere in the villa FREE PHONE CALLS WITHIN IN THE U.S and CANADA........ 50 INCH HD FLAT SCREEN T.V.... FULL CHANNEL PACKAGE ON EVERY T.V. INDIVIDUAL SET TOP BOXES ALL KITCHEN COOKWARE, CROCKERY, AND TEA TOWELS ARE REPLACED EACH YEAR RATES 1ST OCT 2018 - 15TH DEC 2018 £650 ($960) 16TH DEC 2018 - 05 JAN 2019 - £725 ($1,175) CHRISTMAS 06 JAN 2019 - 23RD MAR 2019 - £650 ($960) 24TH MAR 2019 - 13TH APR 2019 £725 ($1,175) EASTER 14TH APR 2019 - 30TH JUNE 2019 £650 ($960 ) All rates include 12.0% sales/resort taxes,all utilities.. free internet, free US/Canadian phone calls all linens and towels £100 per week deposit balance 8 weeks before departure. Refundable Security Deposit £250/$454 Electric pool heating £80 /$140. For those who are cautious to wire money, please put your mind to rest. It is the real deal. We got the code via our rental packet. When we arrived and gained access, we could not have been more excited. The house is very roomy. We loved that the master bedroom was not near the 2nd and 3rd bedrooms. The kitchen was huge. We had all of our family over for Christmas dinner. They even had beach chairs for when we did go to the beach. The pool and the sitting area around the pool was great. My mother-in-law loves birds. She could watch the blue herons on the lake. Diane is wonderful to work with and she answered all my questions promptly. this is our second stay at this villa and we are very happy to recommend it. the villa is very clean on arrival and the pool is excellent for sun bathing. We are a family of four and stayed here for a week in October 2014 to recover from a week doing the parks. The villa is lovely, the fixtures and fittings are of very high quality, everything is spotlessly clean and it is located in a quiet residential estate overlooking a large lake within easy reach of the stunning beaches on the gulf coast. It really was exactly what we were looking for. The owners clearly take great pride in their property and it has a really nice homely feel. The pool area gets the sun all day long and there is constant entertainment provided by the range of wildlife in and around the lake. Diane was a pleasure to deal with throughout the booking process and the run up to our stay. If you are looking for a really nice, well located villa you have just found it. We have just booked a return visit in 2015 - can't wait!! We had the pleasure of staying in this wonderful Villa in September. As soon as we arrived it felt like home, so clean, quiet, spacious and perfectly equipped. We spent many hours sat around the pool watching the wildlife around the lake - so realxing. The booking process was very easy and the owner is a delight to deal with. Can thoroughly recommend staying here. Brilliantly located and easy to get to restaurants, shops and beaches. Thank you Sue and Dave for your lovely review, we chose our furnishings for the simple reason everything is similar to my home in england.. even down to the crystal chanderleirs I agree it is so nice to sit outside to eat meals as there is so much happening on the lake with all the birds you just do not want to miss anything... I am sorry you had the problem with the toilet and glad it got fixed so quickly, my management company are "so on the ball" i couldn't wish for a better team..
A perfect ***** place to stay!! We had a wonderful vacation in this beautiful villa from Diane. I could not wish a better place to celebrate my 50th birthday!! Everything you need for a perfect stay is here. The southfacing pool is top! If you look for a nice villa, stop searching you found it! We hope we may return another time. The villa is easily accessible from the interstate 75, the 301 and the 41. Within easy reach of shops, restaurants, golf courses, banks and post offices. The gulf beaches of Anna Marie island and Longboat Key are a short drive from the villa. Sarasota airport 15 minutes drive, Busch gardens 40 min, Tampa airport approx 50 mins The theme parks of Orlando are just 90 mins away. 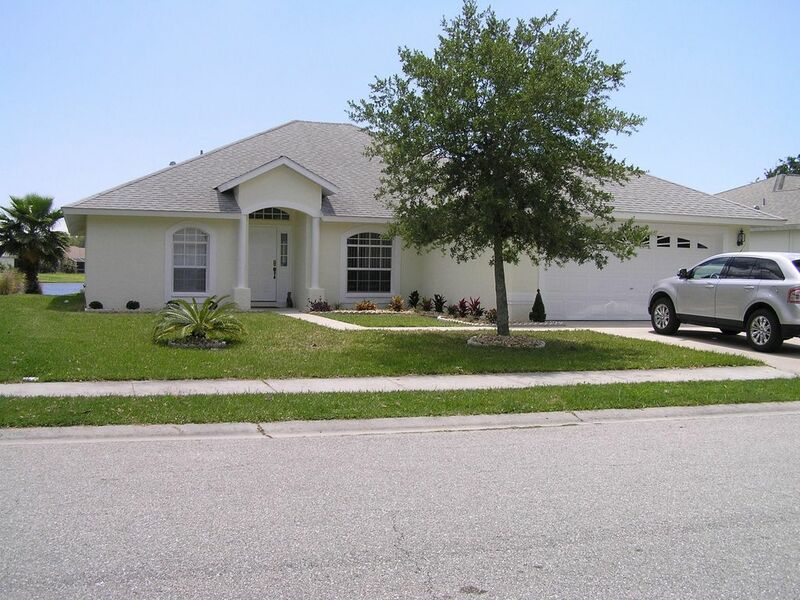 Our villa is also a short drive to all Bradenton /Sarasota golf courses the nearest being Perida.... 3 min drive ! Other Activities: cinema, ten pin bowling, go-karts, fishing, golf.